Stock # 14729SMAS, V8 6.0 Liter, Automatic, 131526 mi. CARFAX One-Owner. Clean CARFAX. 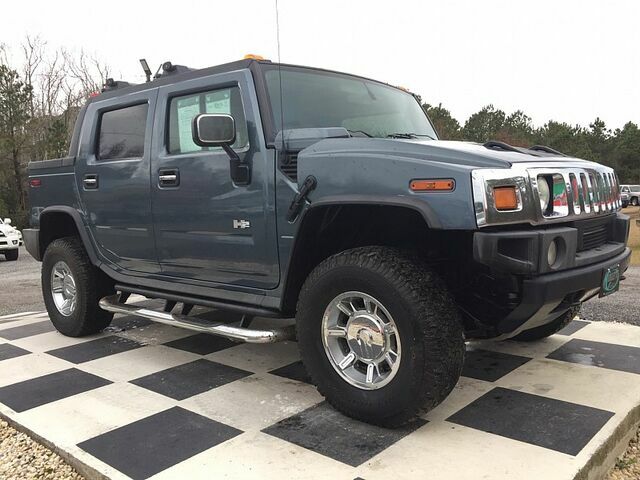 Stealth Gray 2005 Hummer H2 SUT 4WD 4WD 4-Speed Automatic HD with Overdrive Vortec 6.0L V8 SFI ABS brakes, Compass, Front dual zone A/C, Heated door mirrors, Heated front seats, Heated rear seats, Illuminated entry, Power moonroof, Remote keyless entry, Traction control.